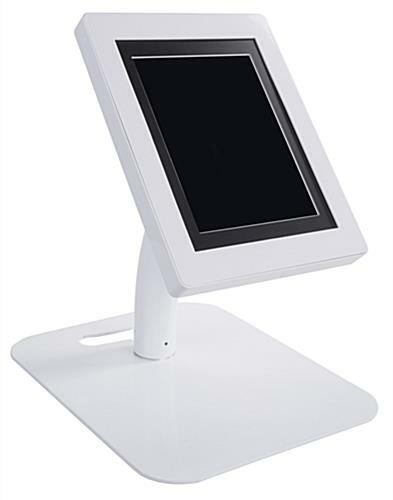 This convertible touchscreen kiosk is designed for high volume commercial use in multiple configurations. 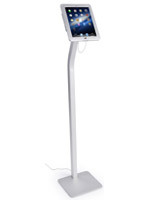 Each adjustable height fixture can be used as either a 48.75" tall floor stand or on countertops as a 15.5" high enclosure. 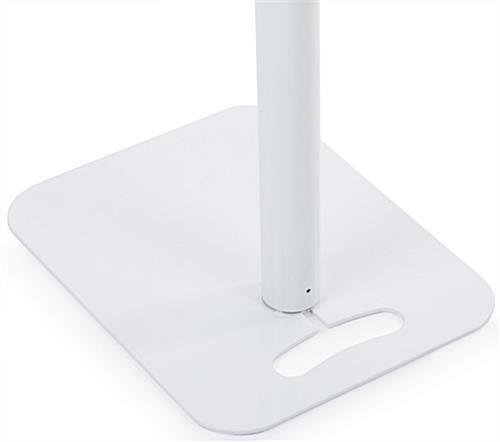 The white finish locking tablet holder supports a wide variety of devices including 2nd to 4th generation iPads, the Air 1 & 2, and most 10" Android tablets including the Samsung Galaxy. 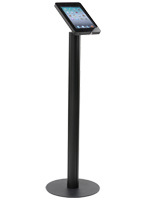 This floor & counter touchscreen kiosk eliminates customer access to Home functions, making it a great accessory for commercial, business, or professional environments. 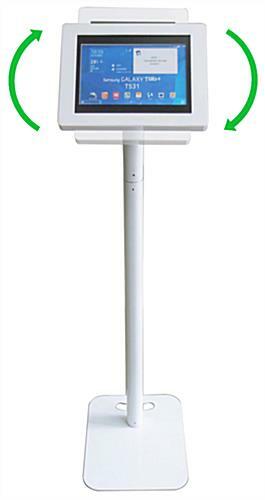 The changeable size configuration allows this fixture to be used in showrooms or at trade shows as a freestanding fixture or as a countertop accessory. 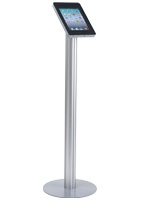 This Apple, Samsung or Android tablet kiosk has a neutral finish and contemporary style that will complement any environment. 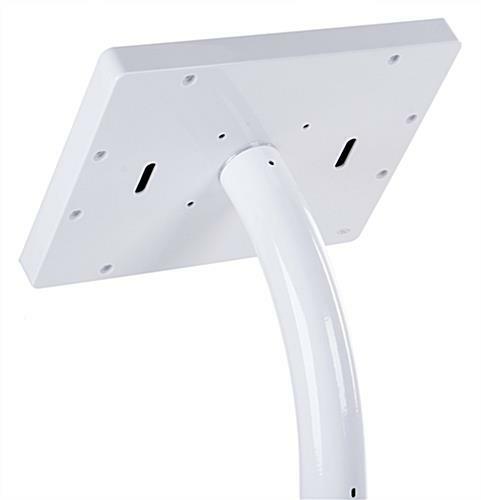 The locking fixture includes a base slot for a Kensington cable lock (sold separately) for additional device security in public areas. 12.0" x 9.5" x 1.5"
iPad 2nd Gen., iPad 3rd Gen., iPad 4th Gen., iPad Air, iPad Air 2, iPad Pro 9.7", iPad 2017 (5th Gen.), iPad 2018 (6th Gen.), Galaxy Tab A 9.7", Galaxy Tab S2/S3 9.7", Galaxy Tab 3/4 10.1"